So here in America, the day after Thanksigiving is called Black Friday, where everyone goes shopping for awesome deals. Well, being a scientist, I had to go to work today to do some experiments, but I left relatively “early” for me, haha (6:30 pm is early for me!). So I walked around in Westwood to some stores and came home with goodies! Bombshell is a blend of purple passionfruit, vanilla orchid, and shangri-la peony. It smells delicious and seductive. Victoria’s Secret Angel Dream is a blend of lace violet, iridescent currant and sheer sandalwood. It is breathtaking and lingers for a while! The bottle is cool too, it even has wings! 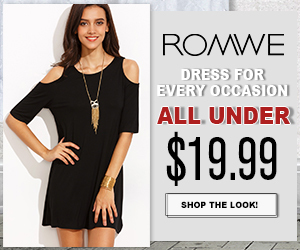 This sale is even going on online so check it out! I also opened a Victoria’s Secret Angels credit card so I got some 15 dollars off, so all in all I got these both for 35 dollars total! Such a great deal! So after getting home with my seductive new perfumes, I arrived to a package at my doorstep from H&M. Ahh yes my online purchases have arrived, just in time for a black friday post! 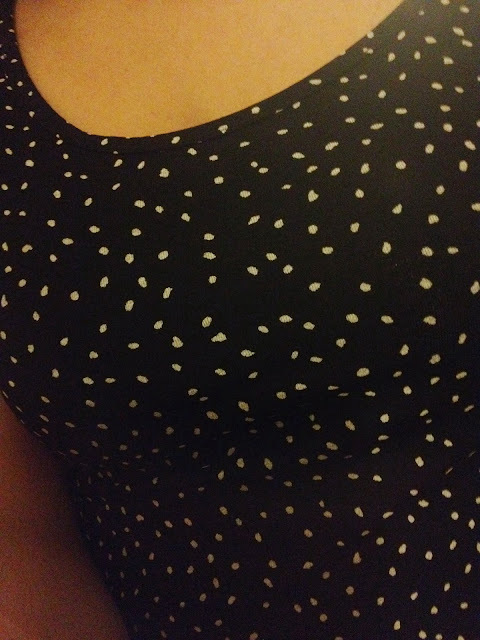 I bought this cute dress online, it is a sheer pink with black lace trimming. 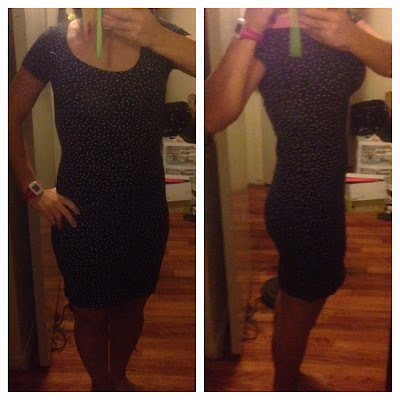 It is very form fitting in a body con manner but not too tight (this is also a small! did i lose weight or is it just big??). It is also not too short, it comes down lower on the thigh closer to the knee! It’s perfect for formal occasions. 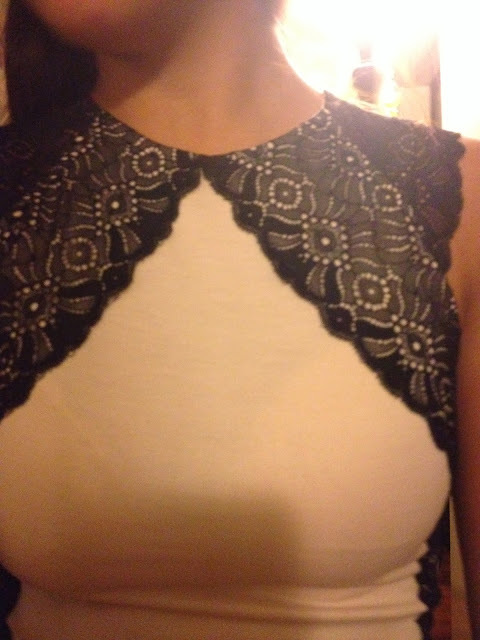 Best of all, how much was this dress? $9.95. WHAT? repeat that? $9.95. Amazing deal. I also bought this less formal dress, with a sweet heart scoop neck, black and white polka dot, looked cute so I got it. It was cheap too ($12.95). 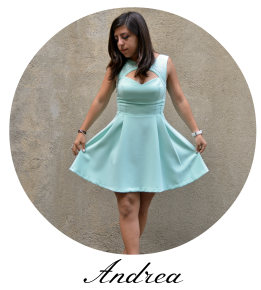 again, it grazes the knees, so its perfect for work or a casual coffee or even dress it up with heels! I also bought this lace bustier top ($5.95!) I bought a medium and it fits perfectly! 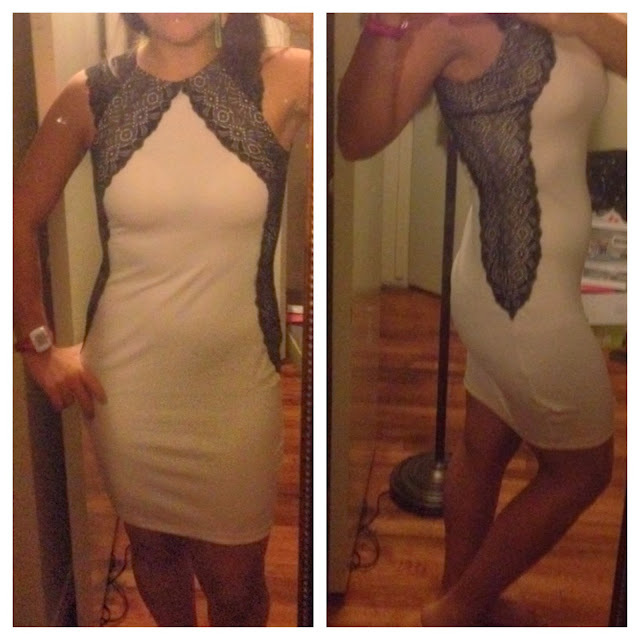 It has sheer lace in the back as you can see on the side of the right picture. 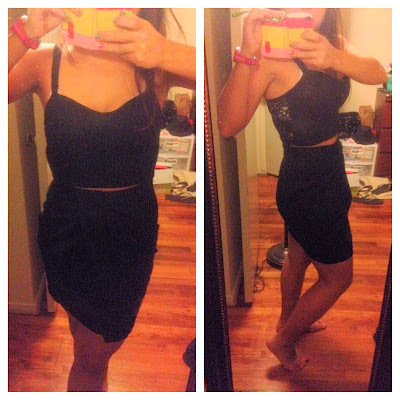 It is perfect with a high waisted skirt (pleated black skirt I bought a while ago from Topshop in the UK). I really like this outfit! It’s so cute! Pair with heels its a perfect outfit to go out! I also bought a sports bra for ten dollars and another lace top for 5 dollars. All in all my whole order came out to less than 50 dollars! And I got free shipping! AH who can pass up buying things?? H&M has some expensive things, but if you do your work on the website and search for the best deals, you can find some great things at a very low price! My bills have been quite high and I need to pay my rent…. I shouldn’t be spending money but I found all the best deals for my money! Have you bought anything for Black Friday? Let me know in the comments below! Previous Post Thanksgiving dinner outfits! Next Post Happy December! Here’s a total body workout!